Social media is now unquestionably a key contributor to and evidence of website popularity, relevance and most importantly: search engine rankings. Similarly to email marketing, Social Media Marketing (SMM) is a proven contributor to any-size business’ bottom line. Not enough time on your hands to monitor all your social interactions? No problem, we’re here to help. 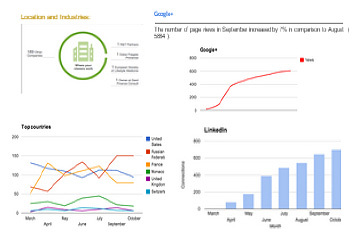 SeoSamba provides extensive and comprehensive monthly reports to help you keep the finger on your social pulse at all times. 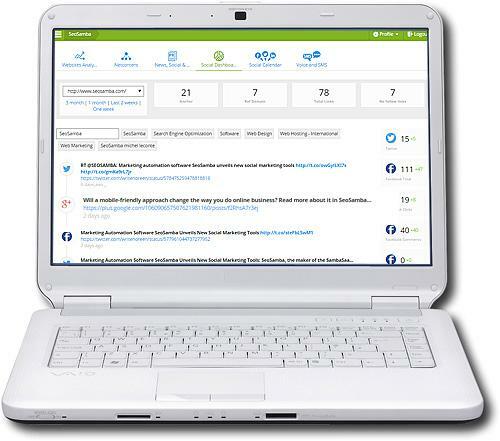 SeoSamba's social marketing platform gathers all mentions of your brand across a wide variety of social networks. 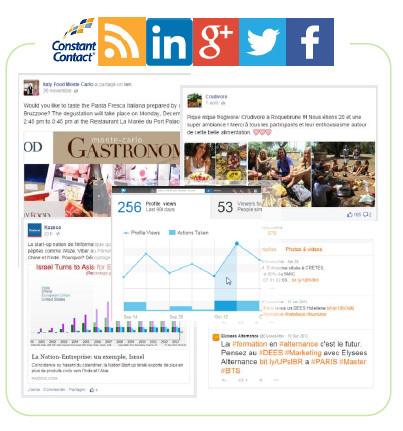 In a blink, you can see all important updates mentioning your brand and products on major social networks such as Facebook, Twitter, Google+, LinkedIn, Pinterest and many more social networks with a direct link to each post. You can track the number of interactions and their evolution for each social network. 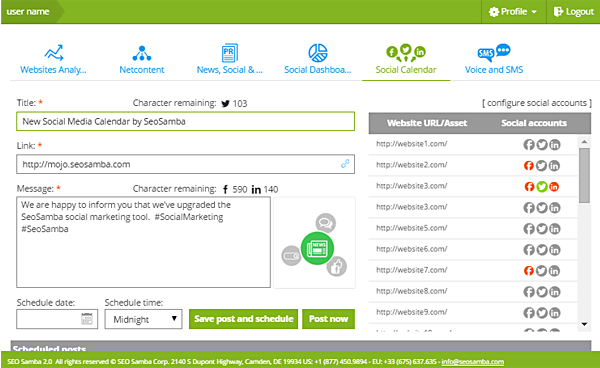 SeoSamba's social dashboard lets you create, enhance and schedule social posts for major social networks. Get on the right path to social success, and bring together all your company and personal social accounts together, so that you can communicate easily across these channels, all the while monitoring trends and reports from a consolidated analytics tool. You can manage an unlimited number of accounts, associated with campaigns or websites, and schedule tweets, Facebook and LinkedIn post in advance thanks to its user-friendly social calendar functions. Scheduled updates appear chronologically in the interface, and you can easily review and modify both content and networks set to carry your posts until their publishing day and time according to the timezones of your choice. That’s why your friends at SeoSamba can help you handle all your social activities with cost-effective and sound strategies. From aligning your brand visual identity across your mediums, developing a tone for your editorial line, creating a content calendar, develivering content that resonates with your audience, and identifying targets for high-touch social networks outreach programs , we take care of everything from end to end, and this with minimal oversight to ensure full concordance with your brand image. Need help with community management?